Hala anchors The World Right Now with Hala Gorani, a show that brings viewers into the heart of CNNs International newsgathering operation and immerses them in the latest stories of the day. Airing at 15.00 ET / 20.00 GMT. In addition to her anchoring duties, Gorani often goes into the field to report on major breaking news stories. Most recently covering the Syrian refugee crisis in Lebanon in 2014. Hala also covered the 2012 Egyptian Elections and has previously reported extensively from Jordan and Egypt. 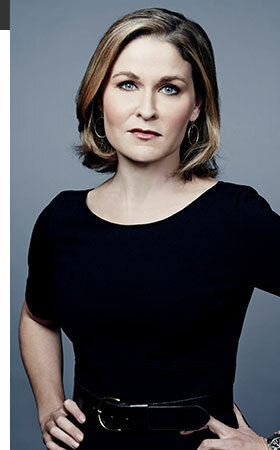 She was instrumental in CNNs coverage of the Arab Spring. In 2010 Gorani covered the devastating earthquake in Haiti, for which CNNs coverage was recognized with a Golden Nymph award - one of the highest honors in international journalism - at the Monte Carlo Television Festival last year. Gorani formerly hosted Inside the Middle East, the monthly show featuring stories on the most important social, political and cultural issues in the region. During her five years as host, she reported on several colorful and thought-provoking stories including poverty in oil-rich Bahrain; everyday struggles for artists living in Iraq; and gay life in the Middle East, which was a first on international television and earned a nomination for a Gay & Lesbian Alliance Against Defamation (GLAAD) award. Gorani, one of CNNs most experienced international journalists, has reported from every country in the Middle East including Saudi Arabia, Egypt, Iraq, Israel, Jordan and the Palestinian territories. She was instrumental in CNN Internationals coverage of the Israel-Hezbollah conflict in 2006, for which CNN won an Edward R. Murrow Award. Gorani was also one of the CNN journalists awarded a News and Documentary Emmy for the networks coverage of the 2011 Egyptian revolution that led to the ousting of the countrys then president, Hosni Mubarak. In early 2009 she presented The Middle East Challenge, a special hour-long program that took an insightful and thought-provoking look into the problems and promise facing the Middle East. Hala joined CNN in 1998 from Bloomberg Television in London, where she worked as an anchor. She also worked for French network France 3, covering stories for the French cable network Paris Premiere. Gorani started her career in journalism writing for French daily 'La Voix du Nord' and news agency 'Agence France Presse'.